Our wooden pen set makes a perfect corporate gift or groomsmen gift. 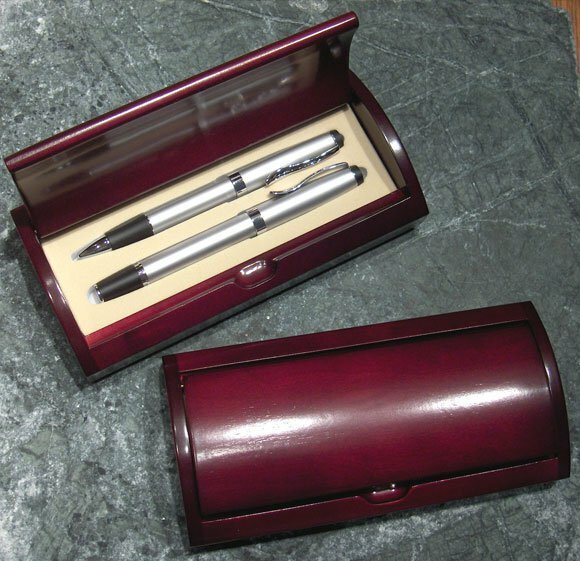 This executive style pen set in rosewood box includes one ball point pen and one roller ball pen with black ink. Measuring 6 3/4 by 3 1/4 inches, this professional pen set in engravable wooden box is available with or without personalization centered on the top.